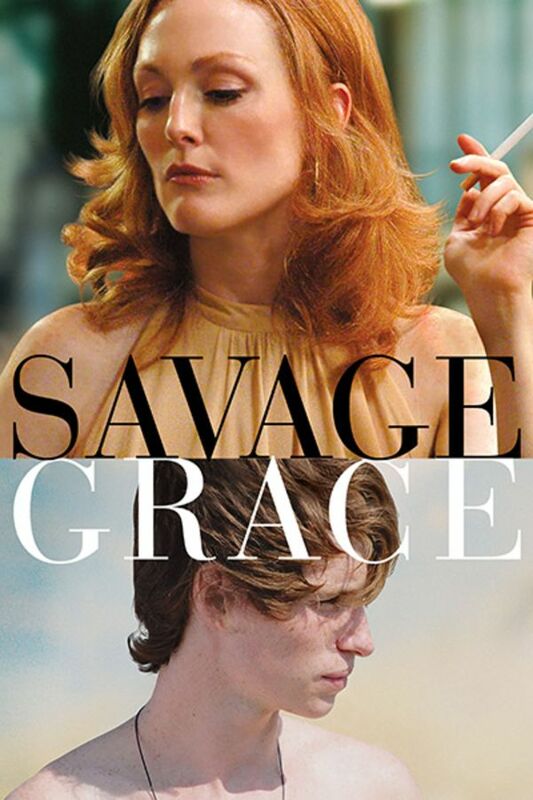 Like his debut SWOON, Tom Kalin's SAVAGE GRACE is based on a shocking true story. Julianne Moore plays a damaged, beautiful woman who elevates her status by marrying the heir to a plastics fortune. The birth of their son, Tony (Eddie Redmayne), doesn't help the couple's relationship. As Tony grows, the family moves from NYC to Paris, to Spain, and to Ibiza during the 50s and 60s, and Barbara's fanatical smothering leaves her son a sheepish wreck. The fact that he's homosexual makes matters worse. One of the most shocking scandals in recent time involves the murder of an heiress. A tale of wild sexuality and forbidden passion is told in this festival gem. A daunting story. The sons life was a nightmare caused by his selfish parents. Relationships were so bizarre from beginning to end that they almost had a normalcy to them. The acting was outstanding. Terrible and pretentious film. Unbearable aestheticism.